The Zodiac crystal measures 100x60x60mm. 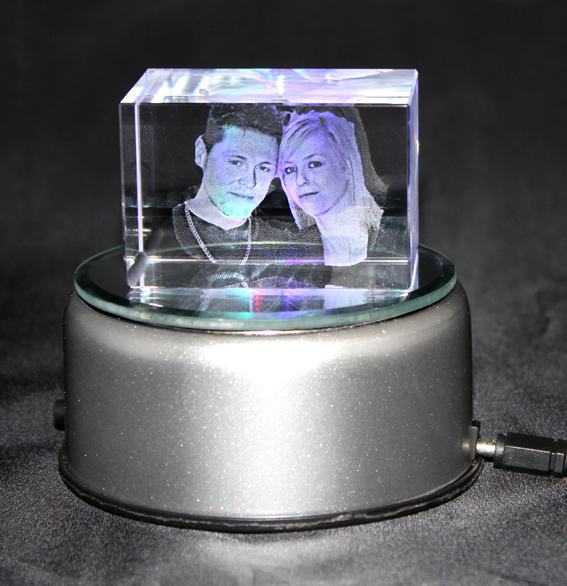 Made from optically perfect K9 crystal we create your 3D conversion from your existing photo and then laser it directly into this beautifully unique item. We can also laser a personal message below the 3D photo-we charge £3 for this service (max.25 letters). Complete with gift box. Enhance your crystal with a Premium Quality rotary,mirrored 7 LED multi-coloured light base complete with UK power supply at £14.99. 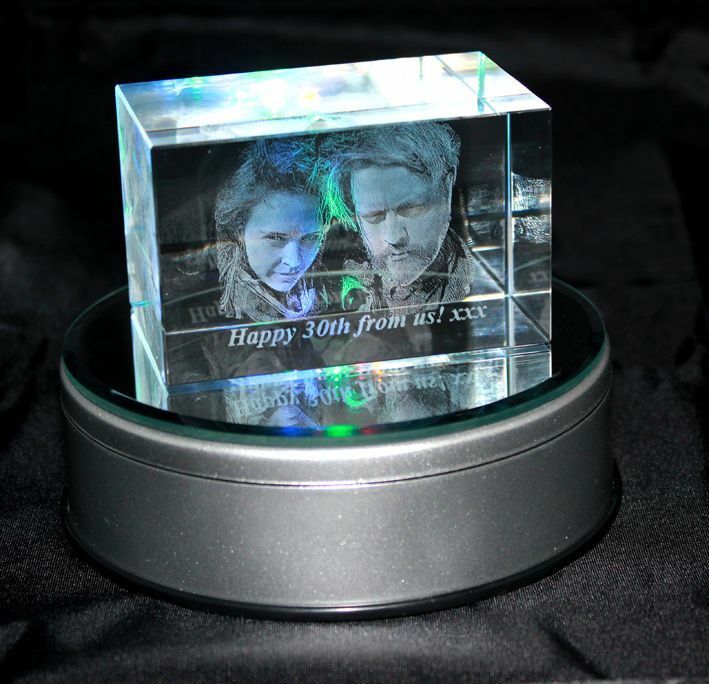 Crystal and light base can also be displayed together in an attractive blue textile lined presentation gift box (£3 extra) otherwise crystal and lightbase sent together but in seperate boxes. Bulk discounts available on identical crystals (same photo and message). Ordered 5 Friday Evening - Delvered Tuesday lunch time !! 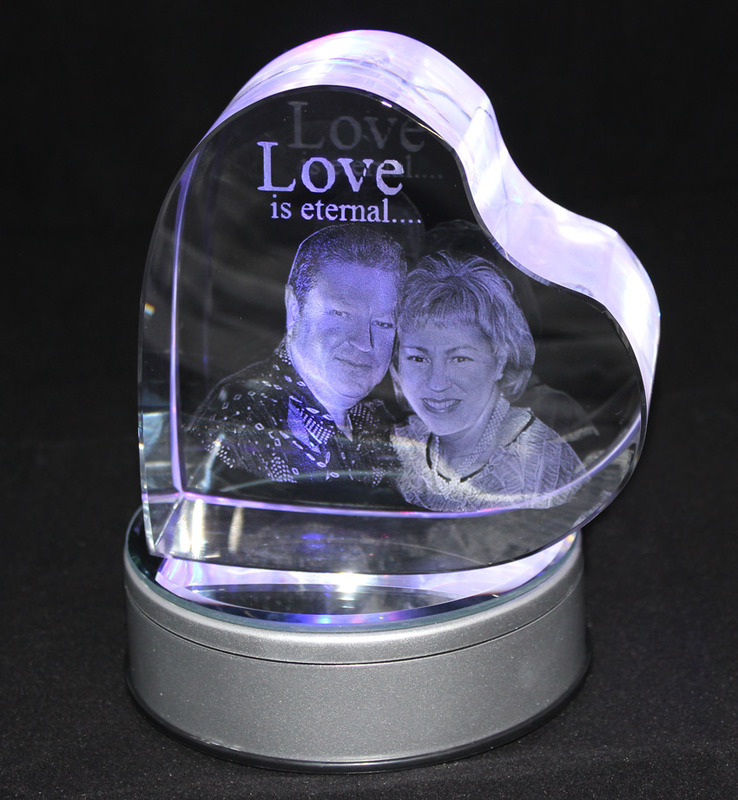 Superb quality Crystal engraving. Lighting Base and Power supply solid and good looking. Could not be more pleased. Thank You. Absolutely fantastic ( I have just ordered another one ) my son was over the moon with it. 5 * Customer support too as I had not uploaded the photo correctly and they rang me straight away and told me what to do 👍. I recommend the light base too it looks lovely lit up and the presentation box is very good quality at a small price . Fantastic result. Really pleased with the 3D photo crystal. It's a great, unique gift and it went down very well. Thanks. Arrived this morning and it's such a beautiful gift! Can't wait for my mum to open it at Christmas! Thankyou for such a fast delivery! Absolutely overwhelmed with my item.. would recommend anyone to buy one I will forever treasure mine thankyou so much! Delivered in plenty of tine! Thank you! A lovely job! Can't recommend enough! Well done! The crystal 3D picture was better than I anticipated, it arrived promptly. Thank you so much. I am so pleased with my order Its beautiful. I ordered through you because you had contact and address details on your site rather than just an email address as I think when you order online you have to take precautions. I m glad I dealt with you the quality and service are brilliant. Absolutely fantastic! Great value compared to other sites I looked at, lots of emails updating me of the status of the order. Very quick turnaround and the product looks amazing! I had been concerned that a stranger's leg in the background of the picture I uploaded was going to show up in the product but just the face's of my brother and his wife to be came out. I really can't express my happiness with the finished product enough!